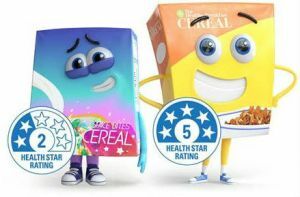 You’ll now see health star food ratings accompanied by colourful animated characters as part of a new campaign to increase awareness and understanding of the system. The star ratings system has seen criticism over the years for appearing to give positive endorsements of seemingly unhealthy foods. However, the new campaign aims to teach consumers how to use the stars properly to make healthier choices when comparing similar products. The campaign will also explain how the health stars are calculated and shows how packaged foods can be incorporated into a balanced diet. 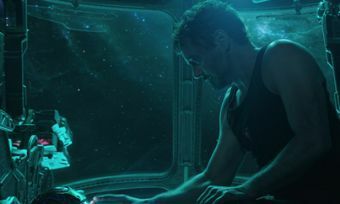 The new animated characters will be seen across promotional materials in supermarkets, on TV and on online. What are the health star ratings? 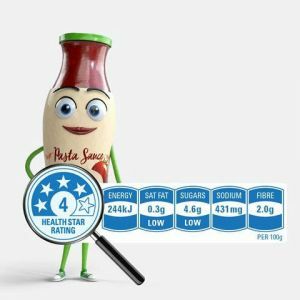 The health star ratings first appeared in Australia in 2014 and an increasing number of products now display them, including most supermarket private labels. However, some big name brands have received criticism for failing to adopt the voluntary labels sooner. The system incorporates front of pack labelling, helping consumers to quickly make healthier choices when comparing like for like products. However, many people have questioned the system given that seemingly unhealthy foods can still receive high scores. The system provides a rating from half a star to five stars, with the higher rating suggesting a healthier choice. The new campaign will aim to educate consumers about comparing products within the same category. An independent, five-year review of the system is also being finalised by the Department of Health. Consumers are able to provide their input and suggestions via the Department of Health’s Consultation Hub in the coming weeks. “We thank you for your continued support of the HSR system and encourage you to have your say through the public consultation,” read a statement.